Talk about bone-crushing acidity. I found this wine to be so acidic that it felt like my tooth enamel was being eaten away. Maybe I have sensitive teeth, but even the next day, I was still feeling it. This does not mean this is not a well-made bottle of wine. 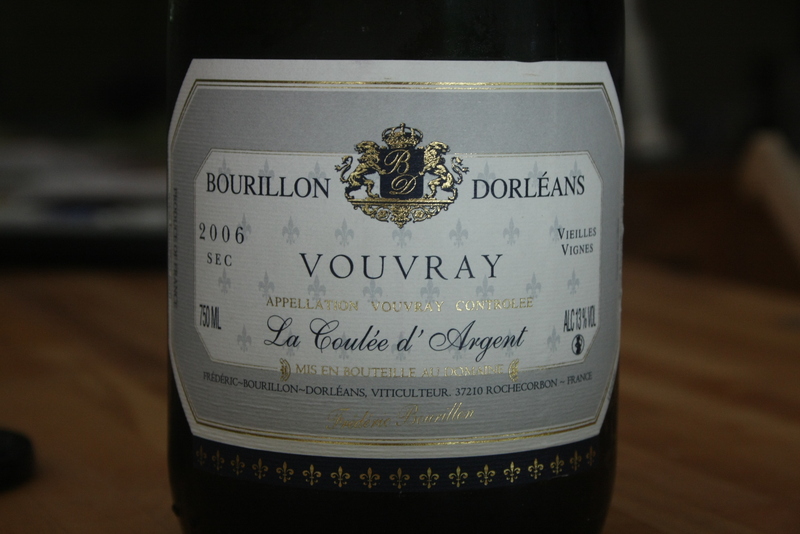 And of course, chenin blanc, especially from the Vouvray region of the Loire, is known for its acidity. According to the estate’s website, this wine has seven grams per liter of residual sugar, spent six months on the lies and spent time in stainless steel tanks as well as barrique. 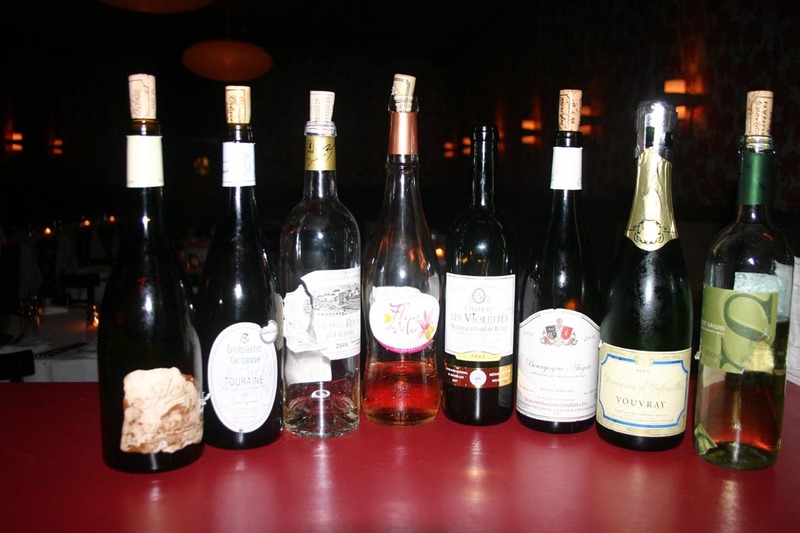 Christophe Lhopitault of Wine and Beyond stopped by the restaurant yesterday with some of his wines. He recently started his own importing business of French wines, and the ones he brought were all pretty good and affordable and some were unusual. The Fleur de Mer 2007 Rose from the Cotes de Provence was light, fresh and super dry, which is how, Christophe said in his nearly indecipherable French accent, rose should be. Also cool was the Chateau la Rouviere 2004 Bandol, which was white and made from the rolle grape. the white grape variety traditionally most closely associated with bellet, is now increasingly grown in the Languedoc and, especially, Roussillon, where it is frequently blended with southern French varieties such as Viognier, Roussanne, Marsanne, and Grenache Blanc. It is aromatic and usefully crisp for warm wine regions and is accepted by French authorities as identical to the vermentino of Corsica, Sardegna, and the Tuscan coast although some Italian authorities dispute this. Its relationship to the variety called Rollo in Liguria is still unclear. the most serious wine of Provence, typically a deep-flavoured, lush red blend dominated by the mourvèdre grape. Like Châteauneuf-du-pape, Bandol produces quintessentially Mediterranean red wines which are easy to appreciate in youth despite their longevity. The appellation is named after the port from which they were once shipped all over the world. Bandol is now a Mediterranean resort town with little to offer the wine tourist, and the vineyards are on south-facing terraces well inland called locally restanques. As in the smaller appellation of Cassis just along the coast, the vines are protected from the cold north winds, but have to fight property developers for their right to continued existence. A total of about 1,400 ha were cultivated in the early 2000s. This particularly well-favoured southern corner is one of the few parts of France in which mourvèdre, the characteristic grape of Bandol, can be relied upon to ripen. Other dark-berried varieties grown include grenache and cinsaut, much used for the local herby rosés which account for about one bottle of Bandol in three, together with strictly limited additions of Syrah and Carignan. A small quantity of white Bandol is made from Bourboulenc, Clairette, and Ugni Blanc with a maximum of 40 percent Sauvignon Blanc, but little of it escapes the region’s fish restaurants. Wine-making techniques are traditional but evolving. All reds must have at least 18 months in cask. Mechanical harvesting is banned. Domaine Tempier is one of the few domaines to have a well-established market outside France but the likes of Domaines de la Bégude and de la Tour du Bon, and Chx La Rouvière, Pibarnon, Pradeaux, and Vannières have all made fine wines. I didn’t find this one especially aromatic, it seemed like a mix of chardonnay and chenin blanc, with caramel apple, green pear and an almost rubbery smell. It has a rich mouthfeel, but stopped a little short. It’s interesting that the wine is already four years old and on the market. Christophe said Bandol is usually held back and right now the current vintage for the reds is 2001. Later in the evening Larry Perrine of Channing Daughters Winery in Bridgehampton stopped by for a drink and I gave him a taste. He said he’d never had a white Bandol before. Larry teaches the vinification class at the International Wine Center and has been in the wine business for decades, so I was pleased to give him something new. The winner of the group was a Vouvray. Made from 100 percent chenin blanc in the Vouvray region of the Loire Valley, Larry and I both found citrus in the wine; he tangerine, me Meyer Lemon. So it’s almost sweet and full, but it’s got the signature high acid of chenin and the oily aroma of what wine tasters say is typical of chenin blanc: lanolin or wet wool. This wine will last a long time. The question of “Silex.” Silex is French for flint, and is a highly valued soil component in the Loire. One famous renegade wine maker, Didier Dagueneau of Pouilly Fume, named one of his sauvignon blancs Silex. Christian went so far as to refer to it as an appellation, but then called it a lieu-dit, named place in French. 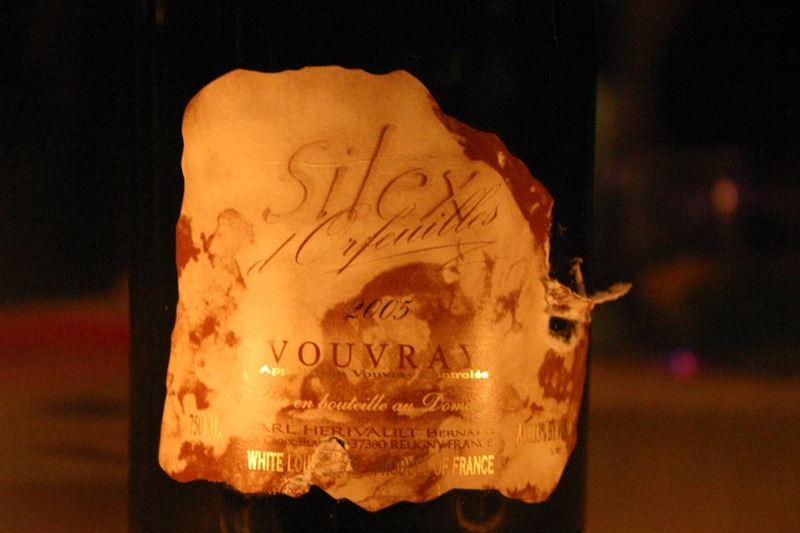 Wines from silex areas, he said, command higher prices. This would retail for about $27.